Collins Booksellers - How to Master Self-Hypnosis in a Weekend (The Simple, Systematic And Successful Way To Get Everything You Want) by Richard (Rick) Smith, 9781516310012. Buy this book online. The NUMBER ONE Best-Selling Self-Hypnosis Book! Hundreds of books have been written about Self-Hypnosis, so what makes this one special? Well, maybe you’re trying Self-Hypnosis for the first time, or maybe you’ve tried before and failed? Whatever the case, you’re looking for results otherwise you’ll probably waste a lot of time, and come away disappointed and disillusioned. You need a System. Over 10,000 Script Recordings Downloaded to Date! 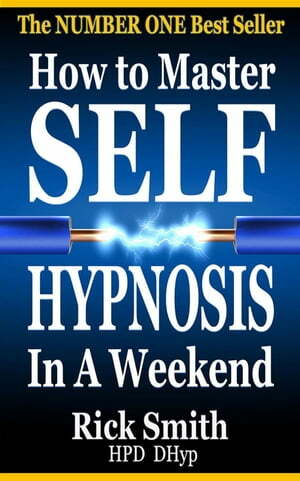 In How to Master Self-Hypnosis in a Weekend, professional Hypnotist Rick Smith demonstrates a remarkable step-by-step system which anyone can use to succeed. Everything you need, including freely downloadable script recordings, is provided. Using this book, you will quickly master the key Self-Hypnosis techniques that enable you to drop easily and quickly into a comfortable trance anywhere, anytime. In fact anything that you feel the need to change.